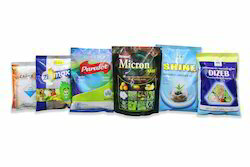 Owing to the hardworking professionals of our firm, we have come up with Insecticides and Pesticides Packaging Pouch. These are manufactured by our professionals using advanced machines and production techniques following the international standards. The high grade material used for the product enables keeping the chemical substances and other ingredients in their original form. Our professionals provide airtight packaging to prevent the products from damages due t varied factors. Reflecting the perfect fusion of quality and innovation, our repertoire of Seeds Packaging products have carved a niche in Indian and foreign markets alike. With the extensive experience of packaging industry, we have accustomed the needs and wants of our clients. Further, use of advanced production techniques and modern production machinery equipment enables us to manufacture them in customized form also. 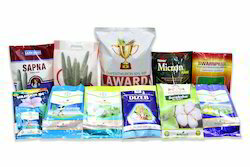 We offer various agro packaging products like crop seed packaging, vegetable seed packaging, flower seed packaging, flower seed pouches, insecticide packaging, rodenticide packaging etc.